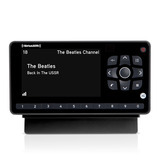 SiriusXM Music for Business is the music you already love, made for your business. 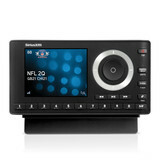 SiriusXM Music for Business Internet Radio connects you to 100 music channels including 30 programmed specifically for businesses. These channels are professionally curated creating a handcrafted music experience with absolutely no DJ or commercial interruptions. Your customers hear nothing but music. Use Promo Code in Welcome Email to receive $100 off. Promo code can be applied at checkout. Already a Subscriber? Sign in with your personal credentials at checkout. 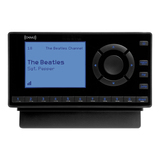 New to SiriusXM? You can create an account at checkout. Note: Your Music for Business Subscription credentials will not work at checkout. You must sign in under your personal account or create a new account. • Easy to set up using a high speed internet connection (Ethernet or Wifi). • Connects easily to your business’s audio and telephone systems. • Excellent solution for any size business – from single stores to large chains. • Five presets for quick access to favorite channels. • Set a 4-digit passcode to block unwanted channels from playing and limit employee access to other features. • View artist name and song title on the easy-to-read display. • Unlimited music streaming with no ads or timeouts. 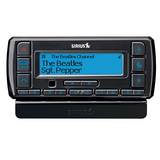 NOTE: The GDI-SXBRD2 requires a subscription to Sirius XM Music for Business. It is not compatible with our consumer service, Sirius XM Internet Radio. Offer Details: Be enrolled in all available and applicable SiriusXM Dealership Programs -- SiriusXM Pre-Owned Program and Service Lane Program -- at any time from January 1, 2019 – June 30, 2020, maintain enrollment thereafter, and receive a free SiriusXM Music for Business subscription for your Dealership (known as “Dealership Beats”). Hardware sold separately, for either satellite or streaming service. Fees and taxes may apply. Dealership Beats subscription to SiriusXM Music for Business is free (a $300/yr savings) and will renew annually thereafter for as long as Dealer participates in all available and applicable SiriusXM Dealership Programs. 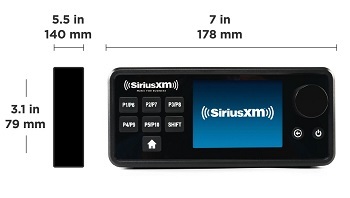 See the SiriusXM Customer Agreement for Business Establishment Services at www.siriusxm.com/siriusxmforbusiness. Dealership Beats free subscription to SiriusXM Music for Business is available only for dealership showroom or service area(s), is not transferrable, and may be modified or terminated by SiriusXM at any time having no effect upon other SiriusXM Dealership Programs. This offer cannot be combined with any other except a discount offer made to the business for an eligible receiver. All fees and programming subject to change. Discount Offer for MFB Equipment: If you require equipment for your dealership showroom or service area in order to enjoy your Dealership Beats free subscription, once your enrollment and Dealership Beats subscription have been confirmed, you will receive a unique promo code for a $100 discount on a commercial-use digital receiver, for use exclusively at shop.siriusxm.com/dealershipbeats.